Space X unveiled their plans to take commercial flights into space with its project “Crew Dragon.” The spacecraft was the first to deliver unclassified cargo to the space station, which was not a government run operation. The spacecraft is sleek was emergency tested in 2015 including escape measures and a high functioning system for a smooth and enjoyable ride. 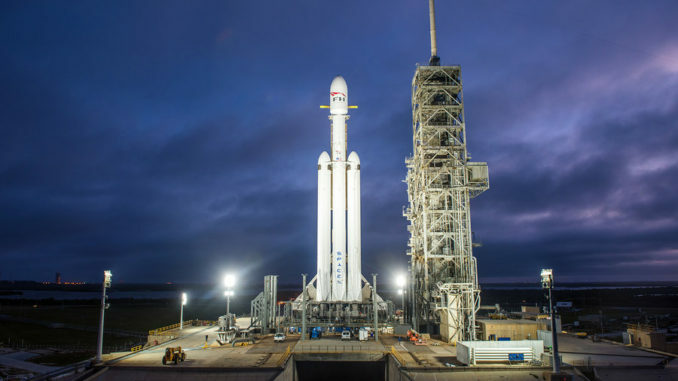 The company also made headlines today for launching The Falcon Heavy rocket from the Kennedy Space station making an “arc to space.” The Falcon Heavy is their second product in the line of Space X rockets that are being tested and used for Earth Orbit and eventual interplanetary travel.